Exploring multiple aspects of life and death—with everything from chakras and the Enneagram to living wills and health care directives—this book is meant to help you unwind the challenge of death and discover the truth of your own path to inner freedom. Preparing mentally, emotionally, and spiritually for this inevitable transition provides improved clarity and strength. This book shares the idea of death as a journey of three steps—resistance, letting go, and transcendence. 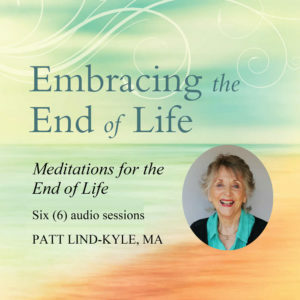 With dozens of exercises, practices, and meditations, author Patt Lind-Kyle helps you experience your truest, most expansive self. Exploring multiple aspects of life and death—with everything from chakras and the Enneagram to living wills and health care directives—this book is meant to help you unwind the challenge of death and discover the truth of your own path to inner freedom. 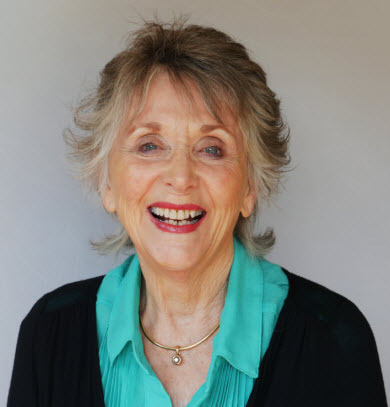 Patt Lind-Kyle is an author, teacher, therapist, speaker and consultant as well as a long-time meditator. Her book Heal Your Mind, Rewire Your Brain won the Independent Publishers Gold Medal Award and a Best Book Award from USA Book News. Patt has written a chapter in Audacious Aging and she is also the author of When Sleeping Beauty Wakes Up. Patt is also a co-founder of Lind & Kyle Consultants, an executive development company that applies neuro-monitoring tools for stress management, health, and peak performance. 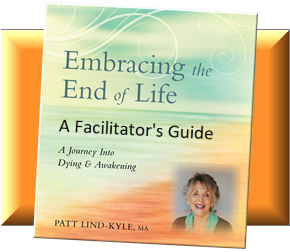 “Patt Lind-Kyle’s book, Embracing the End of Life, is perhaps the most important book about death and dying present today. It provides a map of the emotional, spiritual and pragmatic issues that can help us normalize this most important passage so that we can live our lives with more emotional intelligence, kindness, awareness and love.” — Gary Malkin, Seven-time Emmy award-winning Composer and Co-author of Graceful Passages: A Companion for Living and Dying, and Founder of WisdomoftheWorld.com. 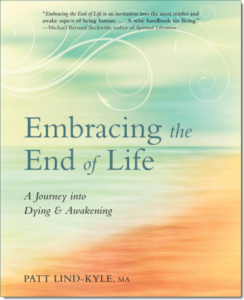 These six (6) meditations are from the book Embracing the End of Life: A Journey into Dying & Awakening. The recordings are designed to guide you into a deeper meditation experience. The meditations may be replayed many times in order to release the resistance to death and become open to being awake and vital in your life now. Within the music background are binaural beats which are specific brainwave patterns. The binaural beats aid you in deepening the meditation while maintaining a high level of concentration and awareness. At the beginning of each meditation I describe its purpose and relationship to the material in the book. These meditations come from the first part of the book: How to Prepare for Your Death. In the second part of the book, The Journey to Freedom: A Guide to Life, there are 16 video recordings to assist you in the journey of awakening. 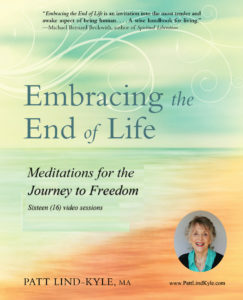 These sixteen (16) meditations are from the book Embracing the End of Life: A Journey into Dying & Awakening. The intention of each video is to guide you into a deeper meditation experience with color that matches the particular chakra of the body for that meditation. Each meditation is designed to put you into a specific brain wave pattern for deeper concentration and awareness. The sound of the frequency of a particular color as well as binaural beats are imbedded into the background music. The combination of the color, sound, binaural beats, and Patt’s voice give you the experience of all the sensory aspects of your brain, mind and body as the meditation takes you into a deep place within you. These meditations come from the second part of the book, The Journey to Freedom: A Guide to Life. These 16 video recordings are to assist you in the journey of awakening. The first track is an instruction by Patt on how to use the Journey to Freedom meditations. For the first part of the book, six meditations are offered on a separate CD entitled Meditations for the End of Life. Patt has created a Facilitator Guide for both individuals and for people reading, experiencing and exploring the Embracing the Endo of Life book within a group. As I was writing the book, my question became, “How do we create community to face this challenge of exploring our death, and what is the best way for people to use this book?” I’ve designed this guide as an answer to these two questions and to give you some examples to help you get started on this journey. Purchase a downloadable PDF version of the Facilitator Guide now through PayPal for $5.